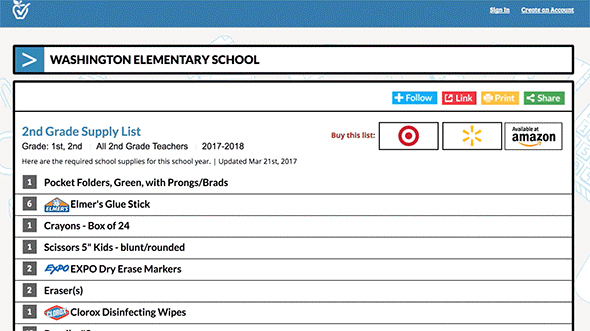 quickly find and shop your school's supply lists. upload your lists. It's free! School staff upload lists (in any file format!) 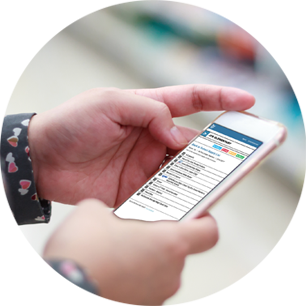 or create a supply list using our list wizard! Schools easily add a link to their lists on their website and teacher pages and share lists with parents in emails, newsletters, and on Facebook. 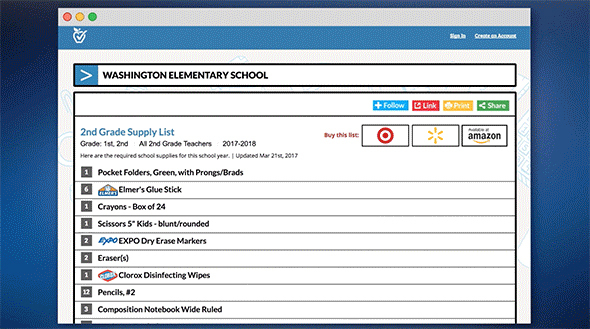 Parents find and shop their child's supply list easily with the convenience of in-store pickup or one-click shopping from our national retail partners including Target, Walmart and Office Depot. School Staff and Parents Love the Convenience! 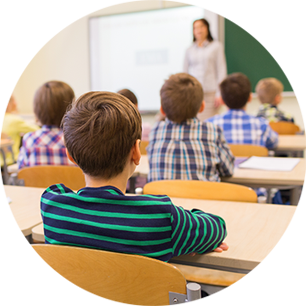 TeacherLists has made the supply list process easier for everyone, especially the office staff. I used TeacherLists from my phone while shopping for supplies. It was super easy and VERY handy! – Susan Cunningham, Olita Elementary, La Habra, Calif.
TeacherLists is a proud supporter of Kids In Need Foundation. We donate a percentage of our proceeds to the foundation to help underprivileged kids get the supplies they need. 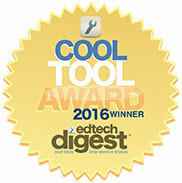 Proud winner of the 2016 CoolTool award! Recognized by EdTech Digest for outstanding contribution in transforming education through technology.